Read all instruction before using. 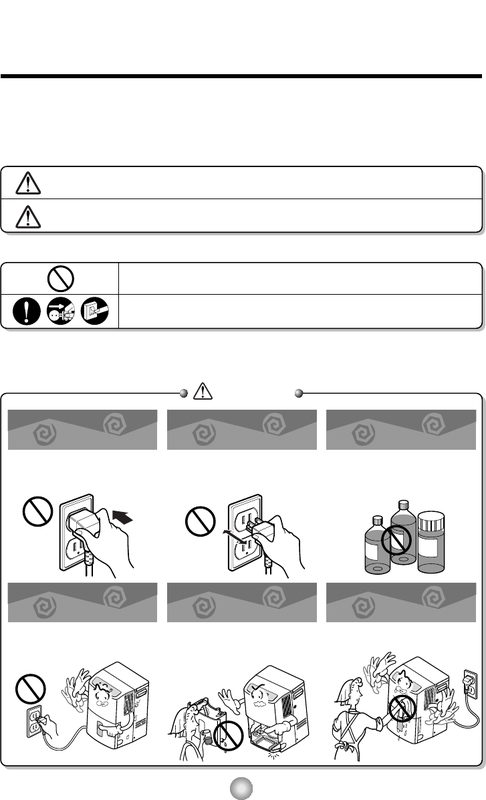 ■ To prevent injury to the user or other people and property damage, the following instructions must be followed. WARNING This symbol indicates the possibility of death or serious injury. especially if it is wet.